Thinking rather than just listening – Book interactive presentations of the communication expert for your events! Let others beat around the bush. Dr. Schwab will win you over as a speaker with simple and practical examples from his 30 years of experience as a coach and trainer in various disciplines. He is at home in every field. He will professionally prepare for every presentation and always incorporate your personal concerns. No presentation is ready-made. You are looking for an extraordinary, interactive and motivating presentation program for yourself and your company or association? Then book Dr. Schwab as a speaker for a presentation of 45, 60 or 90 minutes directly via Germany’s renowned speaker agency at www.referenten.de. What we all know in terms of communication – but never apply! We have all been subjectively shaped, formed, brought up! Almost never do we manage to reach a consensus between what we say, request and agree and how we actually act and execute. What we all know in terms of communication - but never apply! Christoph Schwab will show you a directly applicable way of communicative implementation competence by means of practical examples from 40 years of corporate and real-life practice. Interactive – vivid – simple – exciting – humorous. The topic “preying on the mind” of all executives. 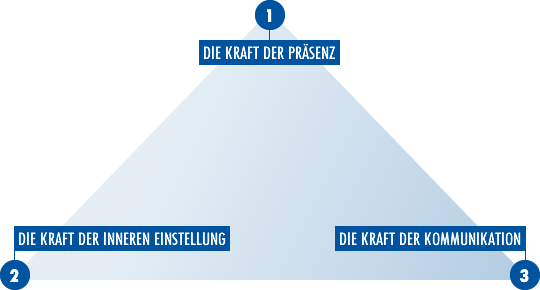 Be Einzigartig (unique): The power of presence! It determines how every person, employee, manager and CEO acts and is motivated to act! 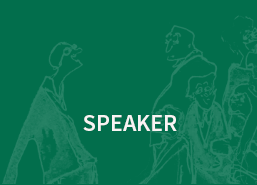 In his presentation, Christoph Schwab will show you impressively how everyone is able to reach his or her individual navigation and “LEARN”. Including a SELF-test for everyone! The power of four ears! Markets are saturated. Distribution, sales and acquisition are proverbially DIFFERENT today. You have REGULAR customers, you have a comprehensive network in place. You know many communication agents! What do you make of it? Christoph Schwab has developed an extraordinary Profiling Pyramid. He will give you a head start! Customers have changed – how can I “read” them? The 10-point plan for successful profiling and converting customer contacts into your own customers! 100 years ago, people received as much information in their entire lives as is printed in the FAZ in one day today. For 15 years, we have had cell phones and Google, Facebook, XING, LinkedIn and 165 radio stations and 586 TV stations. We are looking for our new car and our new love online. On average, a relationship today will last 4 years. Classic family life is “dead”. Long live the “RE-lationship”. “From the spirits that I called, Sir, deliver me”, wrote Goethe in Sorcerer’s Apprentice. How do I navigate to myself in complex worlds? Communication and perception: Why and how does interpersonal communication “suffer” in the 3.0 era? How can I counteract, contribute and what can I do for me, my family, my friends and customers in order to survive in the information jungle? A code of practice and thread of LIFE. Politicians are in the “Bonfire of the Vanities” and media attention. Oftentimes, they give 30 interviews a day while rushing through three states. What do they say how? What is actually received where? What are their basic mistakes in communication – what do they actually never do right? Christoph Schwab is originally a press, radio and TV man. He knows all the stops the media can pull out. For 30 years, he has been on the other side, coaching top politicians, amongst others. This presentation is a highly-explosive suspense report! Be it Karl-Theodor zu Guttenberg, Peer Steinbrück, Gerhard Schröder, Edmund Stoiber, Rainer Brüderle or Christian Wulff! Rise and fall of the existence of a German politician! The 3 forces of communication! How can I successfully change my communication, my presentation, my appearance, my transmission behavior and win a gold medal? What does communication mean today? What does sales mean today? What do I need to do to get attention, which is lasting and sustainable? Which tool box do I need to be permanently successful, assertive and sustainable? How do I lead today in 2015? What does communicative leadership mean? All of Christoph Schwab’s presentations are interactive, for communication thrives on interaction.